WIN A TRIP TO PARIS! In 2010, Beautique Medical Spa revolutionized the medical spa industry by introducing one of the nations very first Botox memberships. Since then, our clients voiced their need for more ways to achieve and maintain their beauty routine and we answered. We offer 3 different clubs, each designed to fit different beauty wants and needs of all ages. 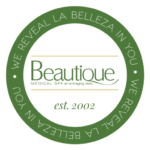 Click below for more information about each one of our BeautiClubs. Need help finding the right club for you? Give us a call at (956) 664-1234 to schedule a consultation today. Ditch the razor for good!